Do You Need an Immigration Lawyer for an Appeal? Has your immigration application been denied? This can happen for a number of reasons. If you’re facing a rejection and would like to appeal the decision, then you should consider hiring an immigration lawyer. Knowing whether you are eligible to appeal your case is the first step in resolving it. A qualified lawyer can help you in many ways, and will determine the best course of action for you. Using an immigration lawyer will simplify the process and increase the likelihood of success on appeal. Canadian immigration law is complex. 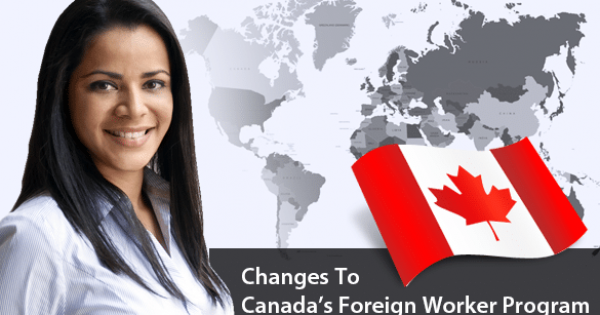 When applying for immigration to Canada or any kind of visa to come to Canada, it is unfortunately not uncommon for the application to be rejected for one reason or another. If this happens, it is important to act quickly to find out your options to appeal. 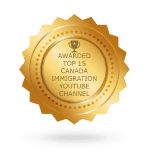 No one wants to see their case get rejected unfairly or for bad reasons, or to lose the opportunity to come to Canada when they justly deserve their visa. An appeal may be necessary to get a court order requiring the immigration authorities to make a fresh decision in your case. Keep in mind that there are time restrictions for when you can file an appeal. Doing so in a timely manner will ensure that you can be eligible to appeal the refusal to the proper forum. In this regard, Federal Court appeals are usually due within 15 or 60 days of a refusal, depending on where the application was refused, while Immigration Appeal Division appeals are generally due within 30 days. It is also important to know where to appeal. The Federal Court is the proper forum for most types of visa application refusals, and for citizenship refusals. The Immigration Appeal Division is more specialized and deals primarily with appeals by permanent residents and Canadian citizens. Other forums include the Immigration Division, the Refugee Protection Division, and the Refugee Appeal Division. Finally, you need to know whether to appeal. If your case is hopeless then there is no point in wasting time and money on an appeal. It’s important to weigh your chances of success against the costs involved to decide if an appeal is worth pursuing. Sometimes there are alternatives to appealing. Applicants can request reconsideration is some instances, or might be able to simply re-apply. The sooner you contact an immigration lawyer to discuss this, the better. Immigration lawyers can help you appeal your application refusal successfully, by evaluating your unique circumstances and setting out your options. This is the first thing you will want to do. Every case is different and depends on its own specific facts. By having an immigration lawyer assess your case, you can determine the best course of action for success. This will depend on the nature of your case, and the different options available depending on the type of application, whether it involves a Family Sponsorship, a Skilled Worker application, a Work or Study permit, or an Admissibility matter, etc. 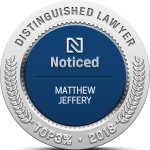 Just about any type of immigration refusal can be appealed, but understanding the details of the process is important to making the right decision as to what to do in your particular case. The location of application filing and processing will also affect how your case should be handled. A lawyer will have knowledge of the proper location and manner in which to file the appeal, the different steps involved in the appeal process, the documentary and witness requirements, and the timeframes involved. 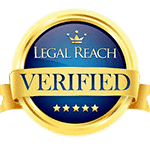 You want to make sure that you find the right lawyer for your needs. Make sure that he or she has the qualifications and experience that are specific to your case. For appeals, find a lawyer who has considerable Immigration Litigation experience. Refusal of your application can result from a number of reasons. Immigration officers are in charge of reviewing the applications they receive, and ultimately decide on their approval. They have strict guidelines in their decisions on these cases. Therefore, you need an immigration lawyer who is experienced as well as knowledgeable about the latest developments in immigration law, and can navigate the various legal channels that you’ll need to use. While it is possible to be self-represented in the appeal process, in practice the rules of procedure and the legal tests applied at the Federal Courts and at the Immigration Appeal Division, etc., are not easily comprehensible to a non-lawyer and it is not advisable to attempt an appeal on your own. Finding an immigration lawyer to help you with your appeal is critical to a successful outcome. Understanding the time limits on your appeal, while having an experienced lawyer evaluate your case, will give you the resources you need to get approval for your immigration application. 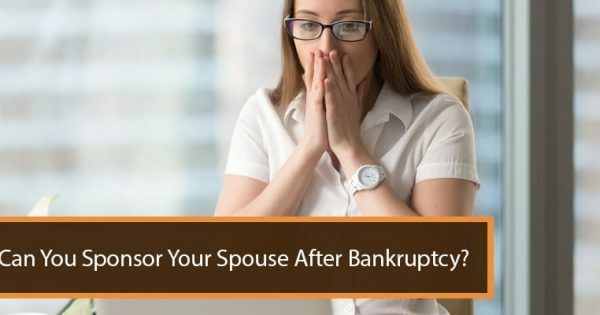 Can You Sponsor Your Spouse After Bankruptcy? 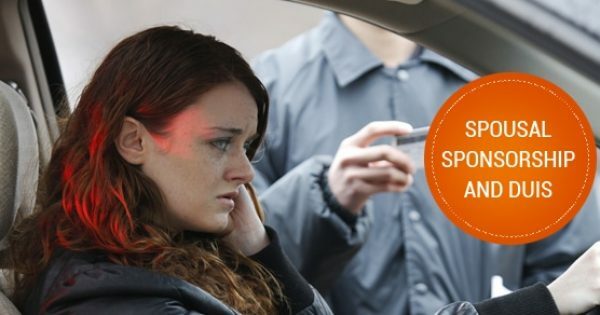 Do DUIs Affect Spousal Sponsorship?